Dedicated to promoting mental health in the Canadian elderly population through the clinical, educational and research activities of its members. This year's CAGP-CCSMH Annual Scientific Meeting will be held in the beautiful Banff, Alberta from October 25-26. For more information, please click here. Thank you to all who joined us at the 2018 CAGP Annual Scientific Meeting in Halifax, Nova Scotia! It was a great success and we are looking forward to seeing you all again! The Fountain of Health Initiative for Optimal Aging is one of the first educational initiatives of its kind in the world. 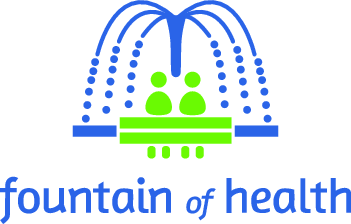 The Fountain of Health is a national seniors mental health promotion effort that translates current science of healthy aging, well-being and resilience, with practical tools to improve health outcomes over the lifespan. Use the simple clinical tools available under "Resources" and "Clinicians' Corner" -- For more information, please click here. The RCPSC Geriatric Psychiatry subspecialty exam is generally written as part of the Fall RCPSC exams. For fall subspecialties examinations the assessment deadline is August 31, one year before you wish to take the examination; examination registration deadline is May 15 of the year you write the examination. Please refer to the RCPSC website for information on the examination process.